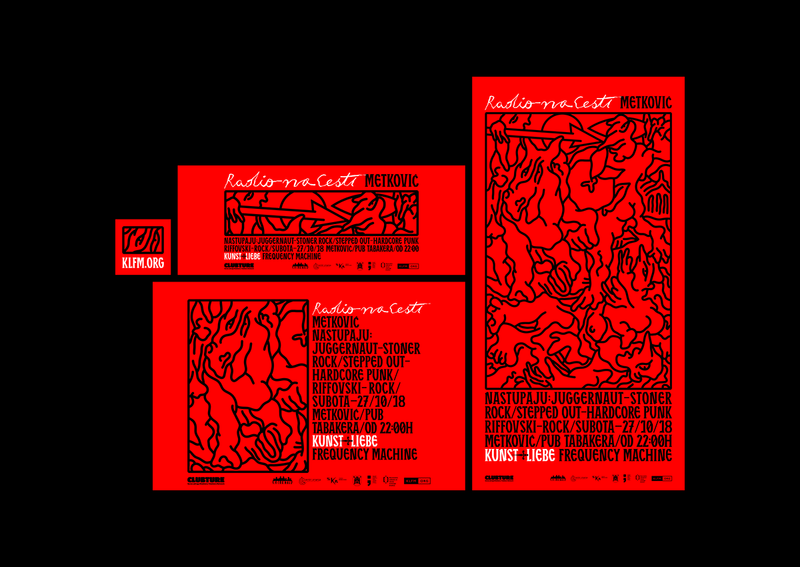 Radio na Cesti (Radio on the Road) is a small Music Festival that travels from town to town, hosted by the friendly Community Radio KLFM (Kunst und Liebe Frequency Machine) from Split. Their next stop is Metković, a small town on the south of Croatia located on the River Neretva. A historic battle occurred on that territory, and in 1969 Veljko Bulajić directed a Yugoslavian partisan film called Battle of Neretva. Battle of Neretva is the most expensive motion picture made in the SFR Yugoslavia. It was nominated for the Academy Award for Best Foreign Language Film. One of the original posters for the English version of the movie was made by Pablo Picasso, which, according to Bulajić, the famous painter agreed to do without payment, only requesting a case of the best Yugoslav wines. 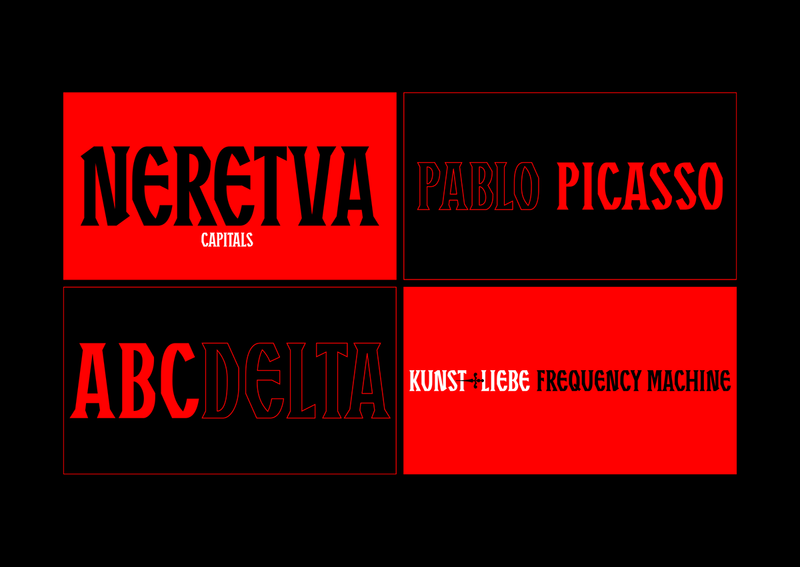 The film poster created by Pablo Picasso was the inspiration for the festival’s visuals and typeface. 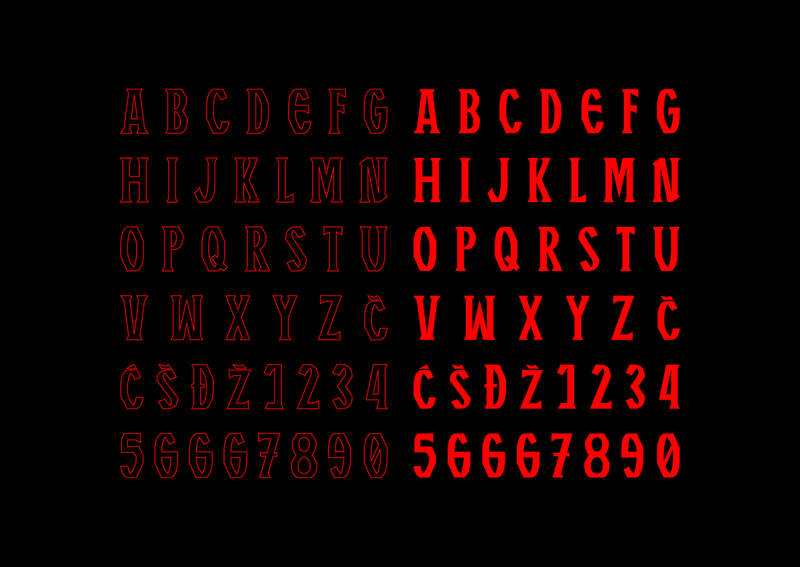 Neretva Capitals typeface can be requested by mail. 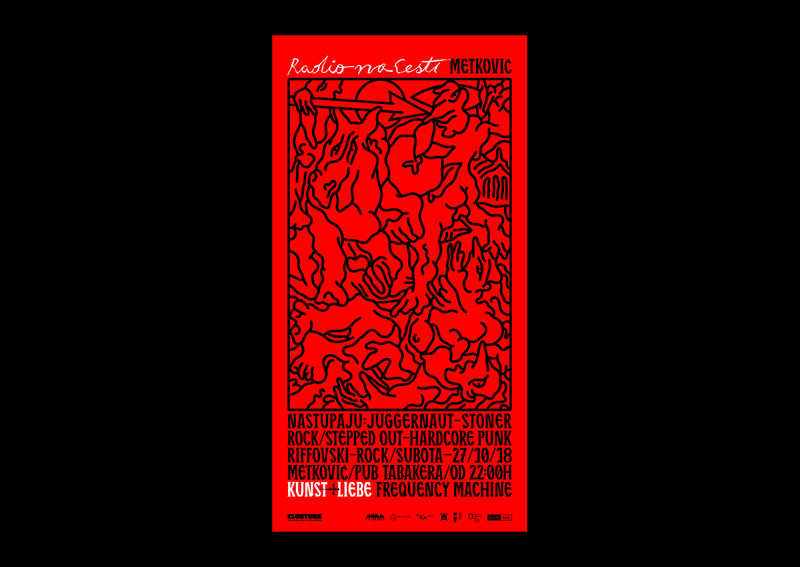 Radio na Cesti (Radio on the Road) is a small Music Festival that travels from town to town, hosted by the friendly Community Radio KLFM (Kunst und Liebe Frequency Machine) from Split. Their next stop is Metković, a small town on the south of Croatia located on the River Neretva. A historic battle occurred on that territory, and in 1969 Veljko Bulajić directed a Yugoslavian partisan film called Battle of Neretva. Battle of Neretva is the most expensive motion picture made in the SFR Yugoslavia. It was nominated for the Academy Award for Best Foreign Language Film. 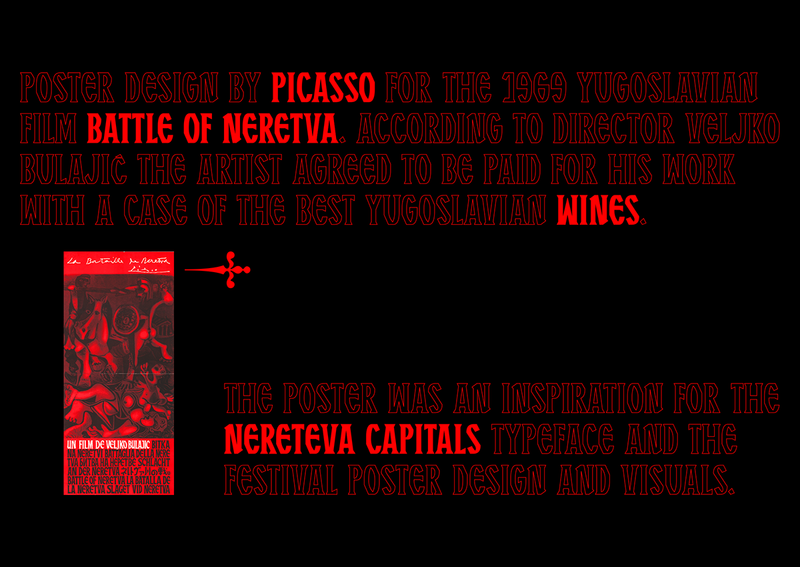 One of the original posters for the English version of the movie was made by Pablo Picasso, which, according to Bulajić, the famous painter agreed to do without payment, only requesting a case of the best Yugoslav wines.